Don't lose this opportunity to improve your Portuguese! 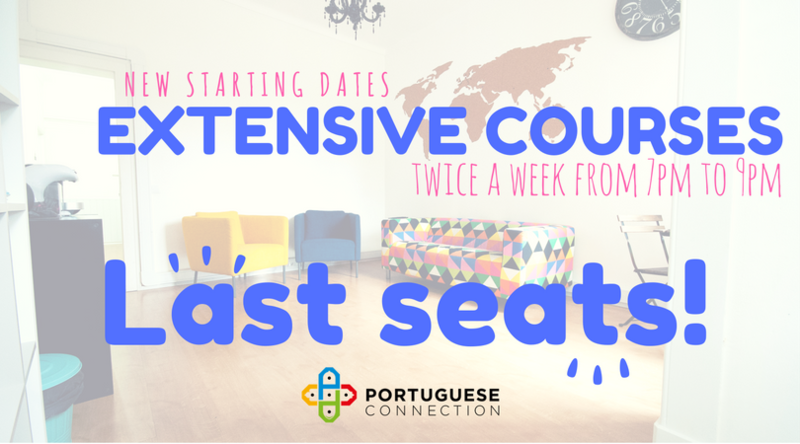 We have already launched the new starting dates of the next set of Portuguese classes here ! And don't worry, we will do a break of 2 weeks in December so you can spend the Christmas season and the New Year's Eve with your family! Ask us the calendar of the classes!